Recioto della Valpolicella Classico D.O.C. 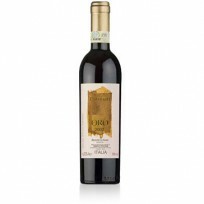 "WWW.WINESHOP.IT - Since 1999 Wineshop.it is Italy’s leading online wine merchant. Their commitments are to have the lowest prices, thanks to the relationship that they maintain with their suppliers, a full availability of products, thanks to the real-time management of their warehouse, a fast delivery (orders are shipped via express courier the first working day after arrival). Registration to the club is free of charge ..."